As you have realised from my previous article, there are a number of definitions of resilience, but it’s generally used to describe an ability that some people demonstrate to withstand the negative impact of stress. These are the people who keep their cool and keep going in the face of problems. They don’t show undue distress, act out, or give up. Is it possible to build or increase your levels of resilience? There’s a common misperception that resilience is a rare quality, held by the special few. This is simply inaccurate. Life is full of decisions, choices and challenges, and we all need some level of resilience to get us through. However, it’s clear that some people have a higher threshold for managing stress than others. In the past it was often believed that these kinds of abilities were part of our genetic make-up: either you had them or you didn’t. This view is now rapidly changing. An ever growing body of psychological research shows that we can change the way we think and see the world, and we can build those factors that make us more resilient. So, which factors in particular make us more resilient? Together with my colleagues, I have undertaken a number of studies into the factors that confer resilience. This has included two large review papers. In the past, resilience research has often confused the concept of resilience with well-being, suggesting that people with high well-being must be resilient. However, it’s possible that people who are high on well-being are simply low on stress. To properly understand resilience, we need to go beyond this. We need to group people depending on whether they are (1) under high or low stress and, (2) maintaining or not maintaining their well-being (see image below). When we do this, we can identify those people who are coping well with stress, and find out what it is about them that helps them to do this. It is this approach that my work has taken. The relationship between resilience and well-being. Our work has suggested that higher self-esteem, more flexible thinking and higher self-confidence confer resilience. These factors are often targeted by psychological therapy. 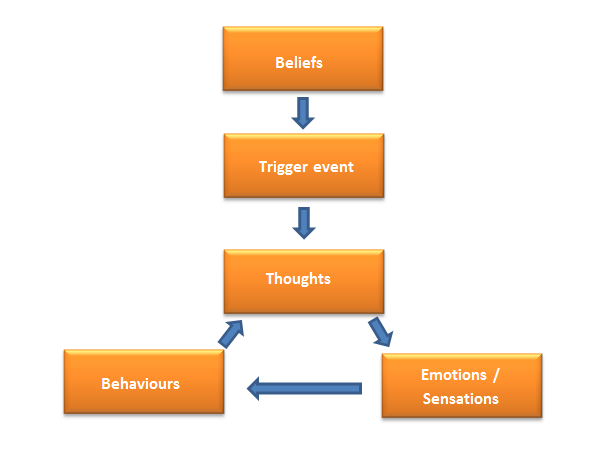 In particular, techniques included as part of cognitive behaviour therapy (CBT) aim to enhance or increase these beliefs and abilities. Interventions to enhance these abilities hasn’t just been limited to people with diagnosed mental health problems though. Studies in groups of young people and workers in high-stress environments have also focused on enhancing these factors. Let’s look at two ways to enhance self-esteem using psychological techniques. These interventions are brief, so they can be used in workshops and training sessions, and research suggests they work. We’ll outline the background and process to these techniques before providing some evidence for their effectiveness. Background – Self-affirmation theory is a social psychological theory. It views people as storytellers who have a powerful need to tell a coherent and continuous story about themselves as people who are able to control important and moral outcomes in their lives . In other words, self-affirmation theory suggests we have a strong need to see ourselves as being a ‘good person’. Events which threaten this story are perceived as threats which cause upset and distress. According to self-affirmation theory, these events need not be big, like a job loss or marriage breakdown. Our need to maintain a sense of ourselves as essentially ‘good’ is so strong that it means that even mundane events can be experienced as threatening. Technique – The good news is that, according to the theory, we don’t need to see ourselves as ‘wonderful’ or ‘excellent’ to be happier; we just need to see ourselves as being adequate. However, if we are experiencing more challenging threats than usual, we can sometimes need help to restore and strengthen our story of ourselves as a being a ‘good person”‘ The most commonly used self-affirmation technique to achieve this is to write a list of core personal values. Once written, people choose one value that is particularly important to them. They then write about why the value is important to them, and describe a time when the value was important. People often write about relationships with family or friends, religion, kindness or humour. The idea behind this is that it reminds people of the fundamentals of their story and enables them to strengthen their personal narrative around this. People often write about relationships with family or friends. Evidence – A large body of research suggests that self-affirmation interventions help people to deal more effectively with stressful events. People who use them demonstrate less of a physical reaction to stress, are more likely to take positive action when told they have a health problem, and even gain higher academic grades. Why? Well, the theory states that performing self-affirmations helps to build a person’s self-esteem. Strengthened in their personal story, and in their sense of who they are as a good and valuable person, they are less vulnerable to events or information that could threaten this. 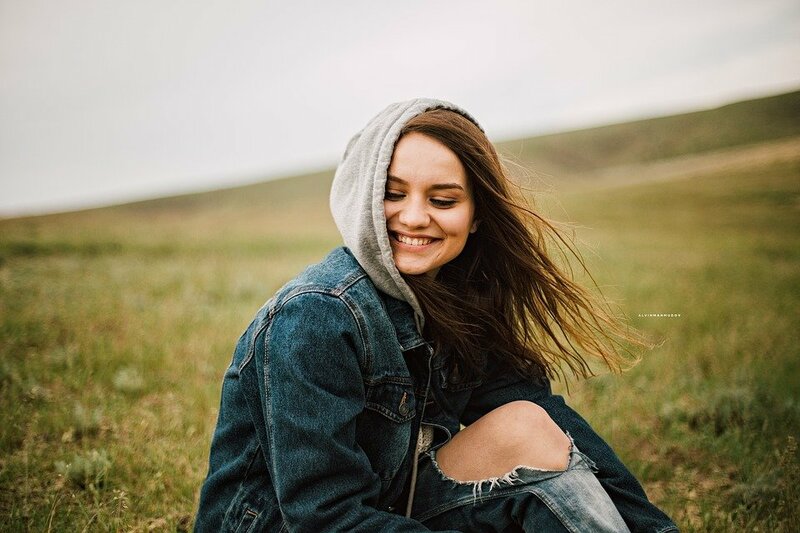 This explanation has been supported by evidence that people high in trait self-esteem who perform self-affirmations are those who cope best with stress. Background – Nicholas Tarrier’s technique on cognitive-behaviour therapy (CBT) suggests that poor mental well-being can result from negative underlying beliefs. We can have these beliefs for sometime without being fully aware of them, but when we come across a ‘trigger’ event, they can lead to vicious cycles of negative thoughts, emotions and behaviours . For example, we may have an underlying belief that we are worthless, but for as long as we are employed, this belief is kept at bay. When we find ourselves made redundant from our job, this belief is activated, leading to negative thoughts such as: ‘I knew this would happen, I could never hold onto a job’ and ‘I’ll never have another job, no other firm would employ me.’ These thoughts can lead to sad emotions and a lack of motivation, which can then contribute to decisions to become less active, to disengage from friends and to stop applying for jobs. Technique – The good news is that if negative beliefs can bring us down emotionally, then CBT suggests that more positive beliefs can boost us, and this is the principle underlying self-esteem building technique. In this technique, people are asked to generate a list of positive self-qualities or statements that they think describe them. The idea is that these will be generated over 5 sessions at a rate of 2 per session (10 in total) but this number can be adapted to suit the setting and format of the intervention. For each positive quality that has been suggested, people are then asked to list as many examples of themselves demonstrating this quality as they can think of. As far as is possible, these examples should be based in their own personal memories, and should be described in a good level of detail. Next, participants are asked to mentally rehearse the examples they have described in order to strengthen their access to these memories. Before and after this exercise participants are asked to rate their level of belief in the self-qualities that they have described (on a scale from 0–100). The idea of this is to demonstrate the importance of where our attention lies. In other words, this is done to show that when we think about good things about ourselves, we will believe it more strongly and feel better. Negative beliefs can bring us down emotionally. Evidence – This technique has now been explored in: (1) a case study with an older adult suffering from low mood and depression; 2) a randomised-controlled trial with working age adults with mental health problems; and, 3) a group of working age adults with substance misuse problems. In each case, it has been found to be an effective intervention for boosting self-esteem. Self-esteem is an important resilience factor, which can help us to maintain positive well-being when we are under pressure or stress. Two ways to boost our self-esteem are to remind ourselves of the values that we hold important, and the things about ourselves that are good. There are specific ways of doing this, and research suggests that when undertaken, doing this can help us to maintain a strong sense of self and to build our self-esteem.